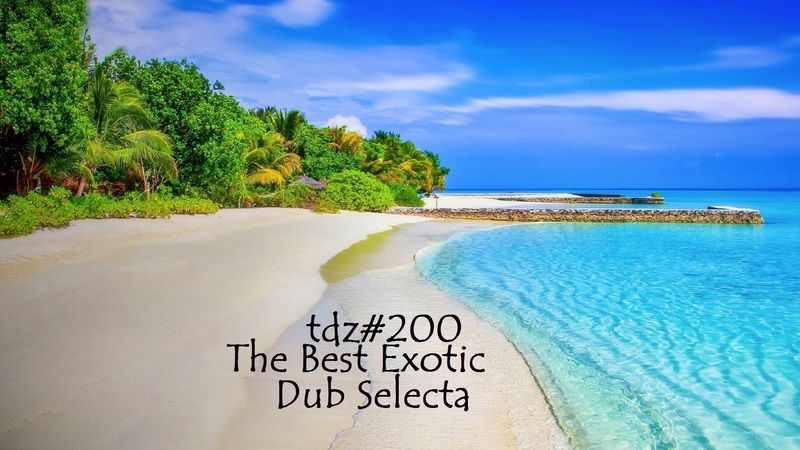 The Best Exotic Dub Selecta…With tracks by…Burning Babylon, Dub Addiction meets Kampuchea Rockers Uptown, DU3normal, Hechoamano, Cocoa Tea, Baby Arm Sound System, Gaudi, Nusrat Fateh Ali Khan, Globular, , Earlyw~rm Jackie Mittoo, DubRifles, Alien Dread, Humano Espectral, DoobieSounds, Supa Bassie, Organic, Volfoniq, Vibronics, Zion Dirty Sound, Dubsynaticx, Dr Remix, Jambassa, Candy, _2V, Johnny Redlocks, Sticky Joe, Les Desaxes, Stand Out Selector, El Gaucho SoundSystem, Fried Wire, Dubsynaticx, Bass Culture Players, Alien Tekh, Jungle Weed, Mind’s Eye Dub, Lion Of Joppa Soundsystem, Jah Slave, Karma Dub, The Sysiphians, Digikal Roots, ISH, King T, Dublicator, Lackatee, Art-X, Red Star Martyrs, Black Dubber, The Liquidator, Solomon808, The Ital Roots Players, Dubwise Continuum, Ironshirt, King Opossum, P.A.F, Nawak British, Vlastur, Michael Exodus, Dubstructor, Jahpapu, Brass Wood & Wires, Guitoud, Dubmatix, Don Letts. 04:21:57 Dread Reckoning Dub, by Dubmatix. Ontario, Canada. [Dubmatix]. 04:25:56 Afterword by Don Letts. From Episode 3 of Reggae 45 Podcast with Turtle Bay. This podcast is licensed under a Creative Commons Attribution-ShareAlike License..
TDZ#157… 8th Anniversary Dub Selecta…..
00:29:46 Milk & Honey Dub, by Prince Fatty meets Hollie Cook In Dub. Brighton, England. Fyah… with tracks by… Ahab, Chuck Burns and Ty Rone, Rastaman, RVDS, SPCZ, Orinch, Manika Kaur, Nawak British. ReDub..with Tracks by……. Easy Deviance, Don Goliath, Mahom, Skonc, Bass Culture Players, Papascandy, Jah Rootikal Steppers , Red Star Martyrs, P.A.F., Nawak British. 03:58 Psalm 1, by Don Goliath. Berlin, Germany. Mind the Oompah Loompah… with tracks by… Damscray, Ganavya, Zebbler Encanti Experience, Mess, Nawak British, Badala Foly, Ultrabase, Maartez, Roo Panes, Dawa, Papi Fouine, Barrington Delevante, iDMental, Immigrant Union, Jaro Milko and The Cubalkanics., Malou Mørkeberg. Who’s Laughing Now?….with tracks by…. Louis Lingg and the Bombs, Buck Rogers, Sedge , Nawak British, POST, J-K. Lisbon, Mahom, Twinmachine, Dozer, Aruba Red, Zak9791, Metaform, Fiction 20 Down, Carlos Barbosa, Blasterjaxx, Ohuican, Nahuatl Jaguar. Twitter Riot, by Louis Lingg and the Bombs. Paris, France. Take Me Down Live & Unplugged, by Aruba Red. London, England. In My Mind I Will Wait, by Metaform. Tokyo, Japan.